Hi everyone. More exciting news to share with you today! I was supposed to be a Guest Designer for Merry Monday today, but instead Lesley offered me a full-time Design Team position - whoo hoo!! I LOVE making Christmas cards, so I am excited to be a part of this fabulous challenge blog. I used an old Sizzie stocking die ... but I didn't like the length of it, so after playing around for a while, I found that if I removed the "cuff" from the top and then placed a new cuff lower down, it was just the cutest little stocking. As with most dies, I cut three layers (one from designer paper, two from white card stock) and layered them together with glue. This makes a nice, thick die and gives it more presence. I also die-cut two of the "cuff" and layered them together (one from white felt, one from white card stock. And I die-cut one from green and used it to make the patches for the toe and heel. I used my white gel pen to add faux stitching on the patches. Congratulations Loll, they know a good thing when they see it. I hope they pay you.......you so deserve it! Love this card! Many congratulations Loll and you sound like you will be in your element...love your christmas stocking against the wall a perfect Christmas card. Hooray, Loll! So happy to have you on our team! Lots of fun ahead! This card is wonderful! The CAS lines are perfect and they show off that adorable stocking! Welcome to the team! Love your Christmas stocking! It's a perfect size now you've cut it down and it looks great against the brick background (fireplace). Congratulations Loll. As I have said many times, you are such an inspiration to all of us. Love the card and the brick wall, finally purchased it!!! Now for some fun . . .
Congratulations on joining the Merry Monday DT. I love your sweet card and the stocking hanging on the brick wall is perfect. Oh boy, I followed the link form the Merry Monday blog ... and then I couln't stop browsing... I think I want to CASE all your wonderful CAS cards. I have just become your latest follower, so I won't miss any of your new creations. Congratulations on the DT! I love the red brick background and the short stocking! We had to ask you to be on the design team in fairness to the other participants! You'd be winning again with this one, Loll! What an adorable stocking! Wow, we are so blessed to have you on the MM team! Your work is always stellar and this sweet little stocking card is a perfect example! Just adorable! Yes the MM team is blessed to have you on their team. Your cards are fantastic including this sweet stocking. I see a designer paper. Love your Christmas stocking - it's so cute. Many congratulations on your new role on the DT of MM - they are SO lucky to have you. Congratluations on the fab DT post! This card is really cute. 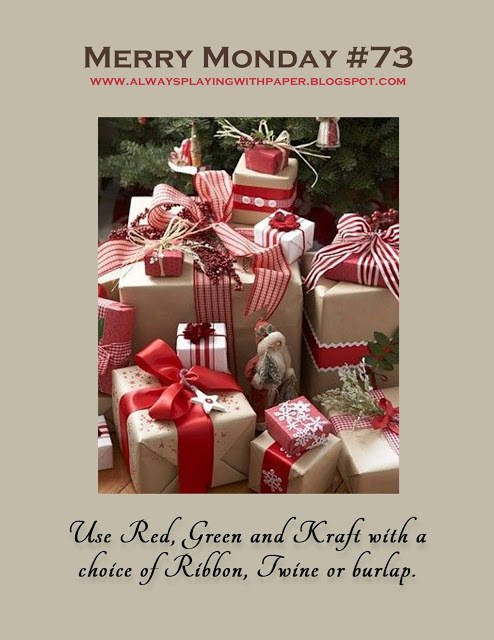 You are the expert in Christmas cards! I will totally be stealing... um... I mean CASEing this card! So freakin' adorable! Love, love, love this! Loll this is adorable. The brick background is amazing. Hi Loll, welcome to the Merry Monday Design Team, fabulous to have you with us. 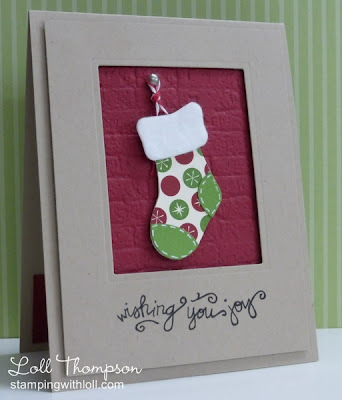 Love your cute little stocking and thanks for the tip on how you layer your dies. Welcome to the team Loll :), wonderful card, I love your adorable stocking and the fabulous brick background. Oh I love this stocking, awesome! LOVE your clean and simple card, Loll! 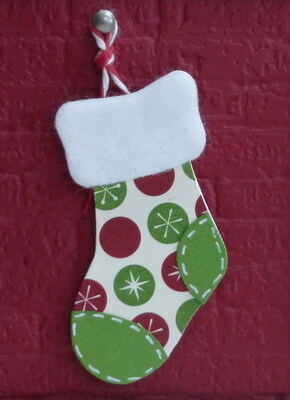 Such a cute little stocking and it looks wonderful against the textured background! So glad to have you as part of the Merry Monday team! Let it snow ... let it snow ... let it snow!